When Tom Brady threw his third touchdown of the first quarter on Sunday it was on a beautifully executed pick route to free up Chris Hogan in the left side of the end zone. The refs threw a flag on the play, ready to call offensive PI for the screen set by Brandin Cooks. Tom got in the ear of the refs and calmly explained that the earth is round, a light ray traveling through one foci of an ellipse will always pass through the other, and that you can run a pick route if the picking receiver is within one yard of the line of scrimmage. The ref reconsidered his place in the universe, then slowly picked up his flag. A banner day for mathematics, logical reasoning, and Tom tuddies. All was well. Then the pick plays came back to bite us. On the Saints drive following the Hogan score, Drew Brees his Brandon Coleman on a 5 yard tuddy where Malcom Butler got picked by Saints tight end Josh Hill. From my untrained eye it sure looked like Hill was 5+ yards down field at the time, but no flag was thrown. There's a chance the refs were still in a daze from their face to face with a living legend, but no matter the excuse that was a blown call. But in the end, 6 points went on the board against us and that's all that Bill cares about. On the very next Saints drive Brees hit Coleman again. This time Gilmore was picked and Coleman got free for 42 yards up the sideline. When asked about the pick plays on his conference call on Monday Bill made his frustration known. 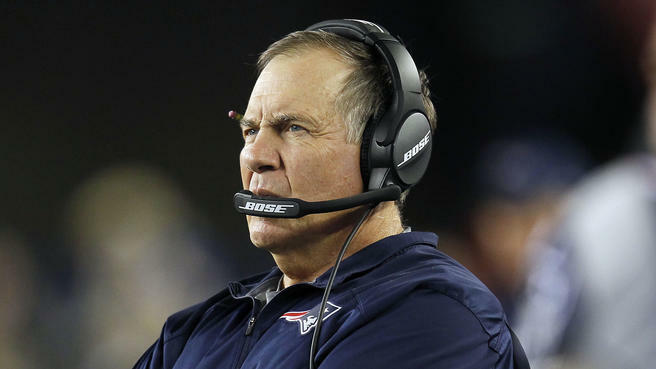 "Well there are certain fundamental things that you have to do," Belichick explained. "You have to adjust collectively as a team. You have to work together because there's more than one person involved on . . . defending those plays. If you don't execute them well, if you don't play the technique properly, then you get beat. We gotta do a better job of coaching that. We have to play it better. Souldn't be nearly as much of a problem as it was. We obviously aren't coaching it or playing it very well." The Patriots play a lot of man defense. That's part of the reason they gave Gilmore all that dough. Man defense leaves you susceptible to these types of plays. We need to be able to execute better because we're going to be seeing a lot of them. The good news is it shouldn't be a hard adjustment. You start to get a feel for when they are coming based on formations and personnel. And with the right practice reps you can have a plan. Look as far as Malcolm Butler's game winning interception in the Super bowl. The Hawks were trying to do the same thing and we had a plan. So Bill has a perfect way to take out his frustration. And that's explaining to Gilmore, Bulter, Chung, and the rest of them how he wants to handle the technique on these plays moving forward. More often than not when Bill gets upset about an issue, it's fixed immediately. If it's not, players find themselves in a different jersey before they can say Big Nickel Package.